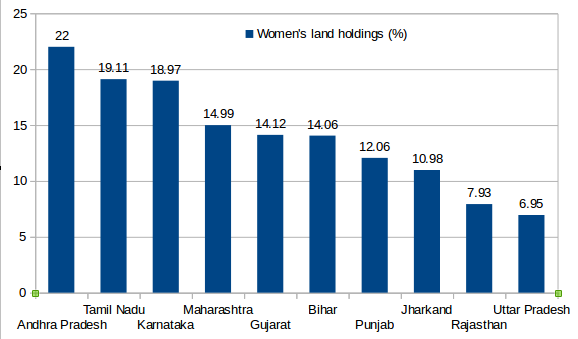 A new book seeking to study the land reforms process in 11 Indian states has revealed that women across India “operate” only 12.78 per cent of the total operational holdings of India, covering an area of 10.34 per cent of the total operated area, even though there is “considerable variation” across Indian states. 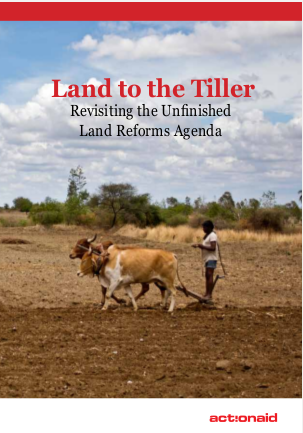 Published by Action Aid, a well-known multinational advocacy group, the book, titled “Land to the Tiller: Revisiting the Unfinished Land Reforms Agenda”, quoting official figures, has said that around 25 per cent holdings in united Andhra Pradesh are operated by women, covering 22 per cent of the total oper ated area in the state, which is the highest among 11 states. Then come “Uttar Pradesh (6.95 per cent holdings operating 5.38 per cent area) and Rajasthan (7.93 per cent holdings operating 6.29 per cent area)”, at the rock bottom. “While this attempt is laudable, it is likely to have an impact only on a minuscule proportion of land transactions, given the fact that market transactions of landed property in rural India are only a fraction of transaction done through inheritance”, the book states. This is reflected in states like Gujarat, where the provision has been made for 2 per cent concession in stamp duty for women buying property, says the chapter on Gujarat authored by Pankti Jog. Also, there is a separate GR which mentions that a house allotted under the Indira Awas Yojana will be in a woman’s name.